To know me, is to know of my love for chocolate. Not just any chocolate, I have a love of gourmet, handmade, deep, dark, luscious chocolate. Chocolate so rich, you can feel the love that went into the process of making it. 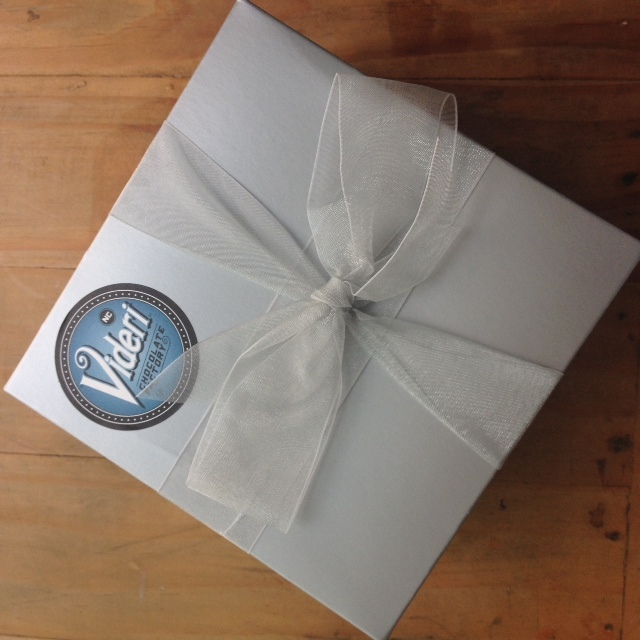 I was more than delighted when the kind folks at Videri Chocolate Factory offered to send me some of their chocolate. My expectations were not that high, but when the package arrived, I knew I was in for a treat! Anyone that takes that much care presenting their chocolate was not going to be messing around! How gorgeous is this!? … each bar individually numbered by hand to identify the batch number! They sent me Dark Chocolate with Sea Salt (my favorite! ), Dark Chocolate with Pink Peppercorn, Classic Dark Chocolate and 90% Dark Chocolate. All Ah-maz-ing!! This is my new favorite gourmet chocolate company!